Fiber Grip is specially designed to create friction and reduce slippage between clamped carbon fibre surfaces on bicycle frames and components. Eliminates the need to over-tighten clamps to achieve a tight, secure and safe fit. Over tightening can cause internal fractures and fatigue of carbon fibre parts resulting in permanent failure. Additionally inadequately tightened components can be hazardous if they move or slip suddenly whilst riding. 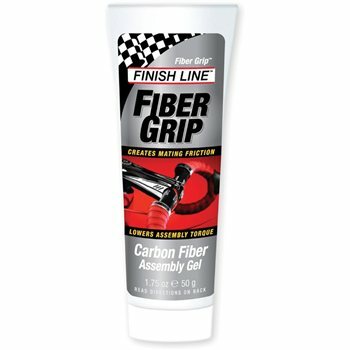 Apply Fiber Grip in a thin film to all clamping areas of stems, handlebars, seat posts, and seat tubes.